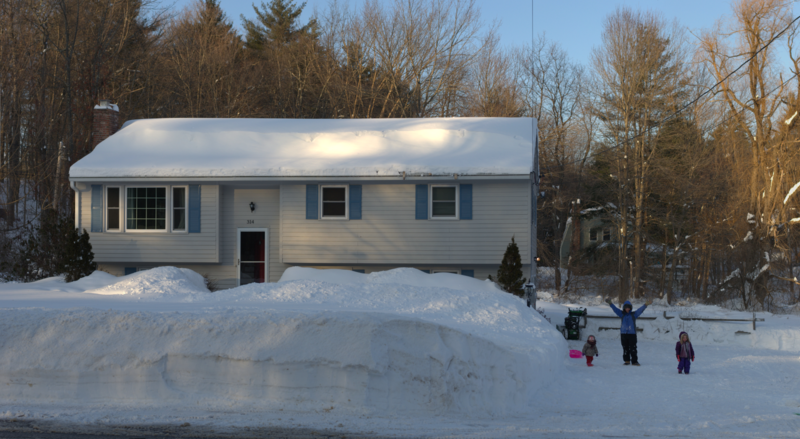 In case you missed it, we have been getting buried in snow over the last few weeks. Multiple snow storms (including a true blizzard!) have dumped multiple feet of snow in our area. The result is a historic amount of snow all around us. Today we got the latest foot of snow left behind by a nor'easter making its way up the east coast. 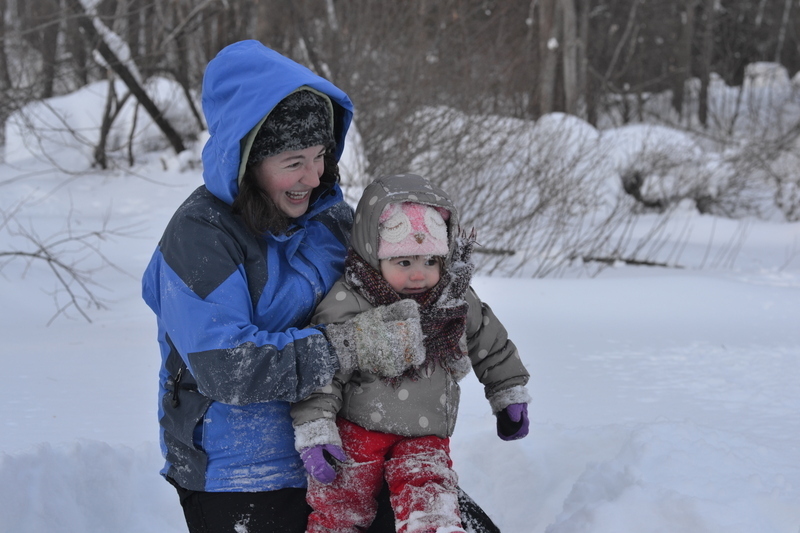 The snow subsided in the early afternoon and the sun actually came out, so we got to enjoy ourselves a little bit. 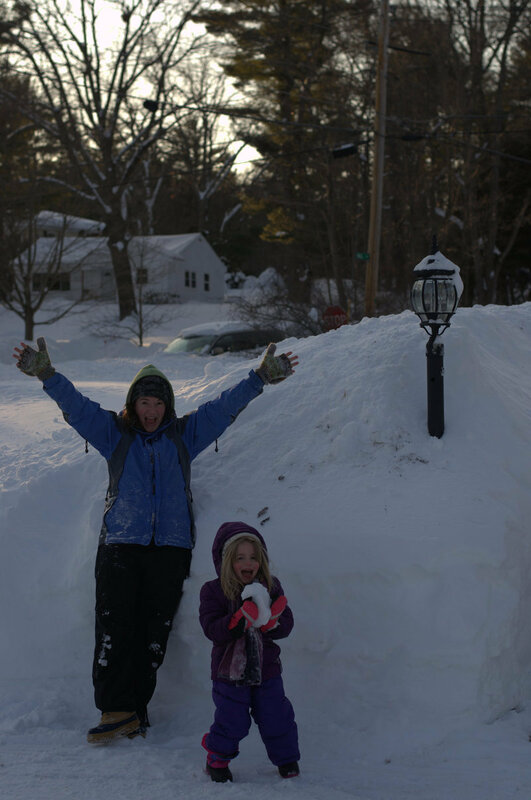 You can see how the piles of snow are dwarfing the children and in some places, the adults too! 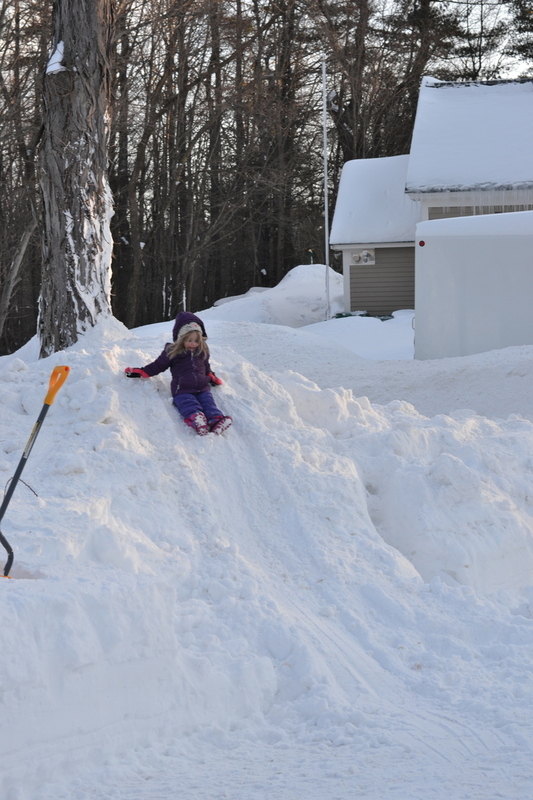 We made a makeshift sledding hill from one of the monster piles of snow near the end of the driveway. With the sun out and a sled in hand (although missing from this photo set...), we actually forgot about the feet of snow that has us in winter's grasp. Evie was happy to be outside after being cooped up for what seems like days on end. 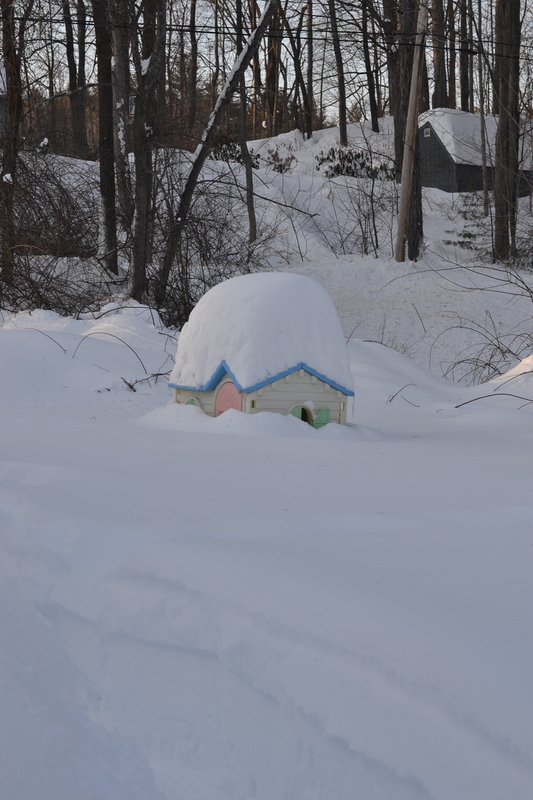 Unfortunately, her outdoor play house is trapped in a snowy field. It might not break free until her birthday. 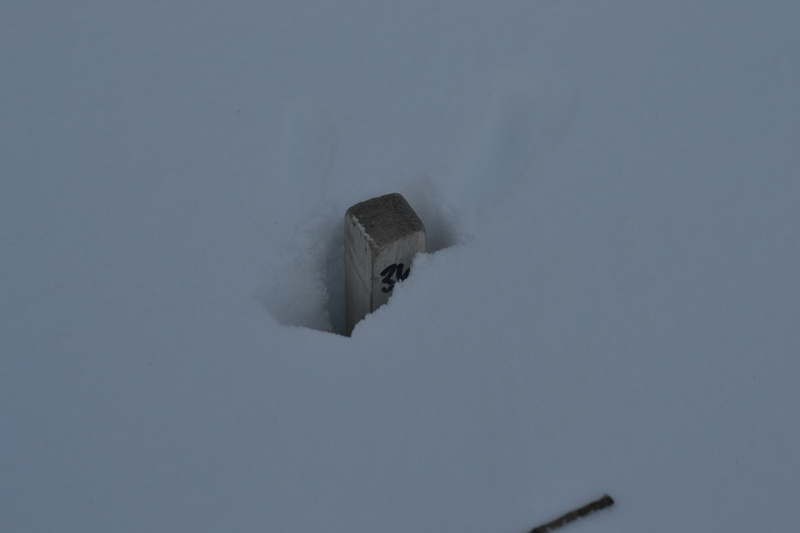 Our unofficial "snow stick" measures over 36 inches of snow in the middle of the field. 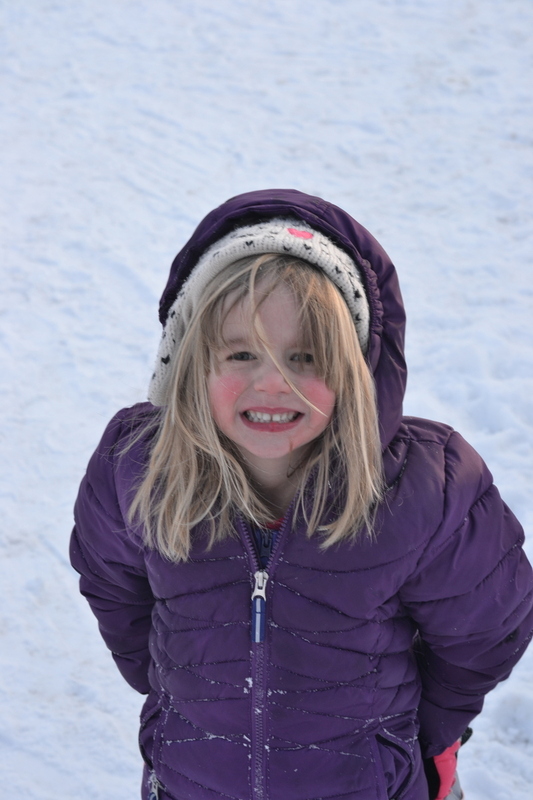 Karina did pretty well today; we've had less successful outings in the cold and snow, so this was a nice change. 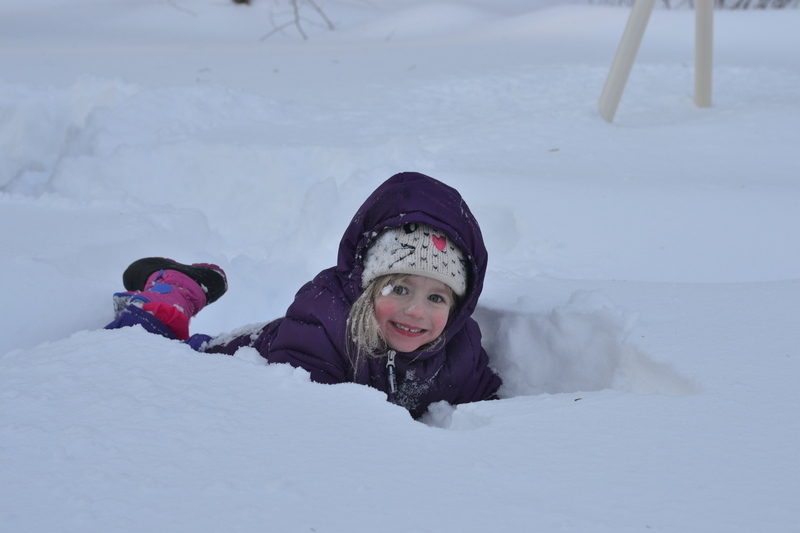 Evie tried to make her way to the swing set, but it, too, was engulfed by snow.